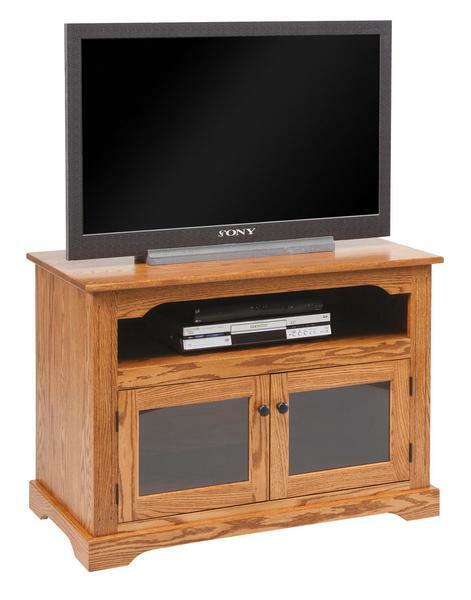 Gorgeous solid wood with glass doors makes a lovely presentation in the living room or family room with our Amish 40" TV Stand with Glass Doors. You can display your television and get comfy in front of a handmade stand that offers storage below. Add a swivel option if you wish to turn your TV to just the right angle. We welcome your questions. If you need custom dimensions or a different wood type, don't hesitate to ask. Our friendly Furniture Specialists are happy to assist you. Thank you for shopping with us today.